My internet slap is in the form of reaching this thread from start to finish! Yeah, that's why I'm just going to wait. If I remember the crab correctly, somehow my school library, which doesn't even take care of the crabs properly, ended up with an E.
Must go on the day they get a fresh shipment and go every week for a while as its random. Probably have better luck at petco. The store I got several of mine from didn't get Es this year. I'm assuming that if you walk in and ask the store when they usually get hermit crab shipments they'll tell you, at least the pet store in my town will do that. Don't do it. It isn't even safe to ship right now. I ordered in June, and I still don't have my order. I paid through Paypal. The payment was never processed because the seller never marked it as shipped. Ok maybe contact PayPal and cancel the transaction just regardless i doubt you will get the crabs no one does from this place. 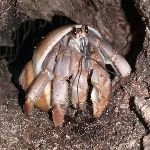 All you can do, Nate, is send LiveHermitCrabs.com an email, cc-ing PayPal, officially canceling your order on the grounds of nonfulfillment after a reasonable amount of time. At least you'll have it on record that you've acted in good faith in case LHC.com tries to bill you at a later date.